REFLECTING HIS PHOTOJOURNALISM BACKGROUND, KARAN KAPOOR'S COLLECTIBLE IMAGES ARE SLICK, STYLISH AND GLAMOROUS. HE IS RENOWNED FOR HIS POLISHED, DYNAMIC YET SPONTANEOUS STYLE. KARAN IS DRAWN TO CHARACTERS AND STORIES, FINDING INSPIRATION IN THE MOVEMENT AND ENERGY OF HIS SUBJECTS. FROM PHOTOJOURNALISM HE MOVED INTO ADVERTISING. SINCE 2000, HE HAS WORKED ON HIGH-PROFILE CAMPAIGNS FOR MAJOR BRANDS INCLUDING THE ATLANTIS HOTEL DUBAI, TWIGGY FOR OLAY, VODAFONE, JWT, NISSAN, GUINNESS, NATWEST BANK, GORDON'S GIN, BELL'S WHISKY, GREENPEACE, THE NATIONAL TRUST, DEBENHAMS, SKY, BOOTS, BACARDI, DOVE, ROYAL CARIBBEAN, NEUTROGENA, PFIZER, DISNEY, TUBORG, COORS BEER,KRISPY KREME AND AVON. HE HAS WORKED WITH RENOWNED AGENCIES INCLUDING OGILVY, TEAM SAATCHI, JWT, DRAFT FCB AND GREY HEALTH. 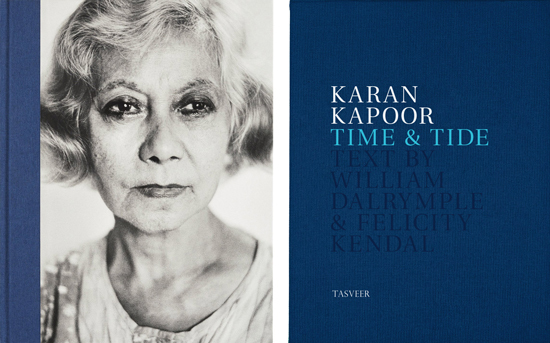 This publication accompanies Indo-British photographer, Karan Kapoor's first exhibition in India, Time and Tide, that brings together photographs from two bodies of work produced by Kapoor in the 1980s and 1990s. The first series, shot in the 1980s, presents a study of ageing Anglo-Indians primarily from Bombay (Mumbai) and Calcutta (Kolkata), and forms one of Kapoor's earliest personal photography projects. The idea of a world no longer present or fast fading central to this work, also forms a primary thread in Kapoor's second series of photographs taken during his frequent visits to Goa, where he vacationed with his family and friends at their house on Baga Beach. Taken in the 1990s, these photographs capture an older Goa, the last remnants of Portuguese Goa. Alongside reproductions of the 48 black and white photographs that comprise the exhibit, the publication features two original texts by William Dalrymple and Felicity Kendal.